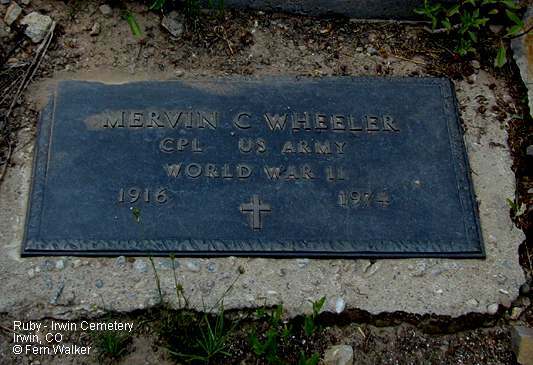 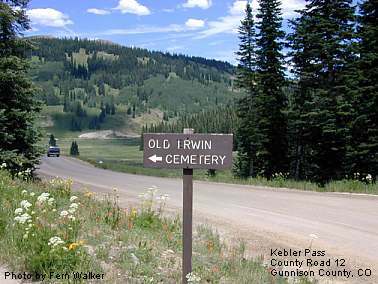 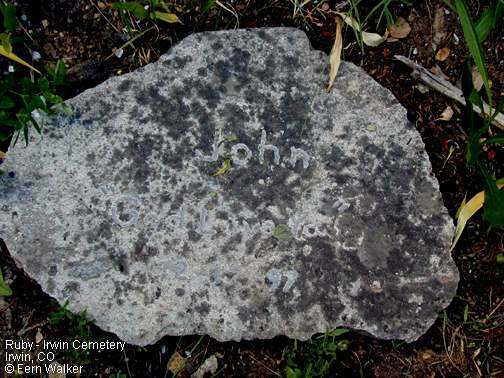 The Irwin - Ruby Camp Cemetery is located just east of the crest of Kebler Pass on County Road 12 about ten miles west of Crested Butte. 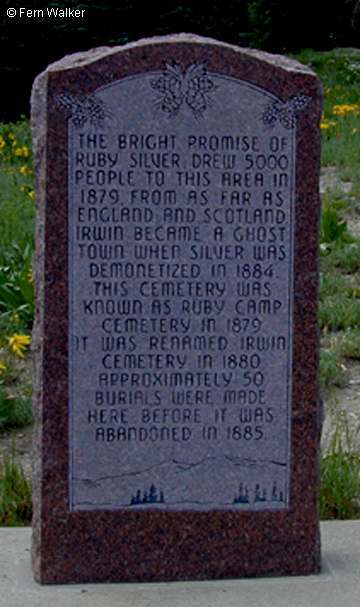 Ruby and Irwin were silver mining camps established in 1879, located about a half mile apart, a mile northeast of the cemetery. 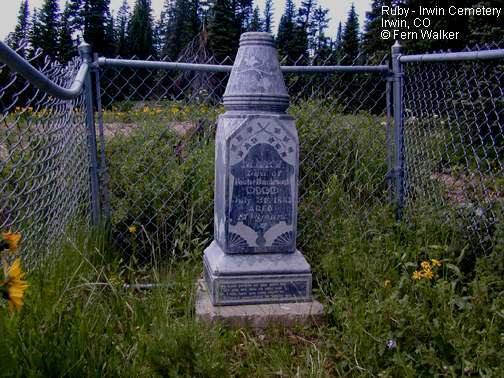 While the cemetery historical marker indicates both communities died in 1885 with the silver bust, the Irwin Post Office remained open until June 1900 so burials after 1885 are probable. 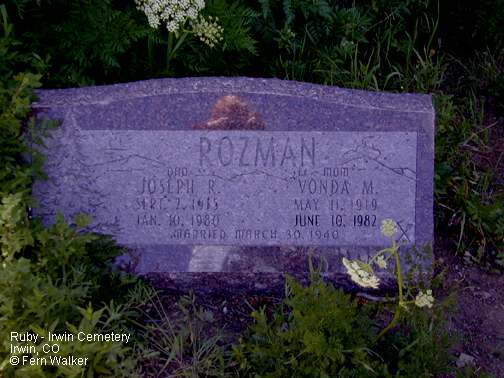 The "Old Irwin" cemetery has enjoyed a "revival" since 1970. 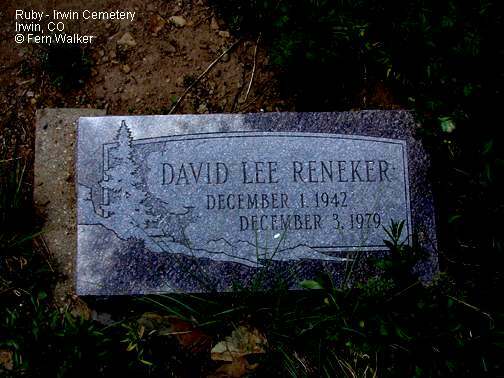 Most of the photographed makers are from the revival. 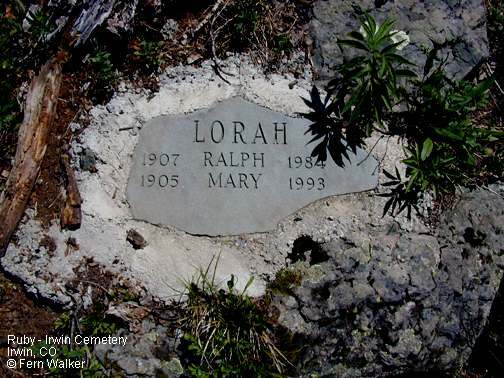 Bumbaugh, Mary, died Jul 31, 1881 age 17, daughter of Foster Bumbaugh (fw)"My good people, as you pass by; As you are now - So once was I; As I am now, You soon must be; Prepare yourselves to follow me"